People may just now be putting out their Halloween decorations, but eCommerce businesses should already have the year-end Holidays firmly in mind as the leaves start to turn. Why? For one, shoppers are anxious to get their purchases out of the way early. A 2014 study from Google revealed that over a quarter of shoppers start making purchases before Halloween ends. Others are joining this Holiday traffic by vigorously researching, bookmarking and curating holiday gift ideas to make their process as quick and as painless as possible. Optimizing your website and page design while providing organic content can help you capture this crowd and entwine their 2016 Holiday gift buying journey within your own brand. Getting all these tweaks out early is not a nice-to-have, either, but rather a top priority. 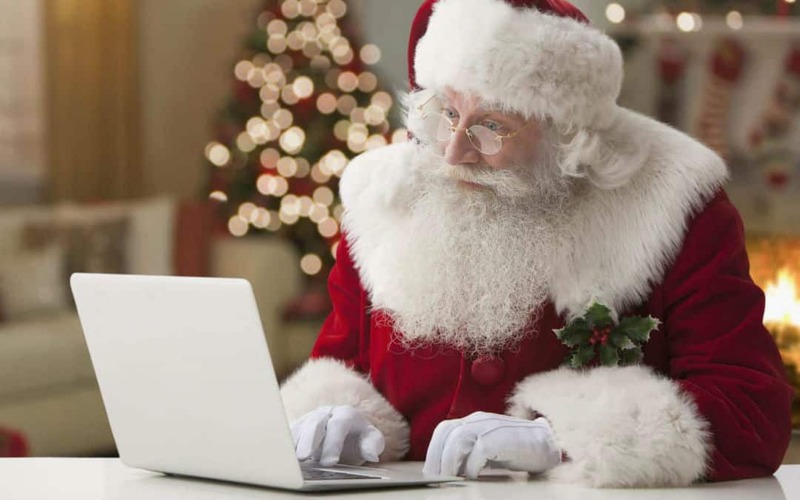 Research based on observing Google search trends reveals sites have that promotions and optimizations in place 45 days before a major holiday event can capture 90 percent of all related search traffic. Since many people want to be done early and have everything shipped in time, we suggest that you finalize all your major changes and promotional pushes by the first week of November. If your spouse says that the grass is pretty long and asks you to mow, do you just randomly start pushing a running lawnmower over things? No, you usually take a visual assessment of your property as a whole and identify areas where mowing would lead to improvements. In much the same way, applying recommended SEO best practices and campaign optimizations willy-nilly could result in even more inconsistent results than before. Instead, you should assess the lay of the land by measuring all of your prioritized metrics and then seeing which areas come up short on performance. For instance, if you want more conversions to product pages from ads and front page content, you would find out which pages are already doing pretty well and which ones have lots of room for improvement. Typically, your middle-of-the-road performers will benefit the most from optimizations. You could also learn lessons from top performers so that weaker areas can benefit. This initial check up is absolutely vital for developing a comprehensive optimization strategy in time for full-force holiday traffic. You can also use it to set budget guidelines for your big year-end holiday campaign push. Once you have an idea of pages that are underperforming according to your priority metrics, you can give them a strategic optimization intervention. Don’t fret if only the first suggestion seems obvious; the latter ones have to do with a subjective interpretation of what an ideal site would be for a search engine visitor. You can grasp some of the finer details by reading Moz’s suggestions for on-page optimization. Pay per click campaigns like Google AdWords offer site managers more control over who sees their campaign materials. Sure, it comes at a price, but since optimization changes can take days to weeks for a search engine crawler to put into effect, PPC offers instant access to feedback on your promotion and the marketing copy you use to broadcast it. Try experimenting with long-tail keywords associated to ones you already rank for. You can use Google Trends to view search volume for certain keywords along with rankings for associated phrases. You should also experiment with phrasing any promotional copy in different ways in order to test optimal ways to describe the promotion or get people excited about it. At the same time, you should be implementing site design changes and copywriting optimization to benefit your organic search results. You can use more helpful Google tools like Fetch as Google to view how the changes would look to a searcher and Submit to Index to request them to re-crawl your page and hopefully update your listing sooner. Reviews are a must for instilling confidence in products. Make sure you push buyer reviews as part of the post-sale process through automated emails. The more reviews a listing has, the more traction that item can gain over time. Q&A sections can also provide value as long as they are moderated consistently. You can also build trust by investing in site security measures that come with badges indicating their use. Certain security brands like VeriSign can lift conversions significantly when used properly while also improving the reputation of your site brand as a whole. Great blog content is one of the best ways to improve keyword campaigns and organic SEO. The more people who engage with the content you write, the more likely they are to return as well as share and recommend your eCommerce brand to others. Creating one single holiday gift guide can often be enough to meet all of your keyword campaign goals, but if you have time then the more the merrier. Consider splitting your guides into subdomains according to the examples above, such as youecommercebrand.com/holiday-gift-guide/gifts-for-dad. The more segmented and personalized you can get these guides, the more boost you are likely to see in traffic! You can also have one page to list all of your Holiday deals and promotions, providing shoppers looking to save with a one-stop portal. The best way to implement all of these strategies while keeping tabs on each important element is to collaborate with a knowledgeable digital marketing firm. It also helps if they are familiar with the eCommerce industry, like we are at Symphonic Digital. Symphonic Digital knows how to increase SEO traffic. drives performance-focused campaigns using the latest technology, monitoring software, and SEO best practices available. Take a look at our digital marketing services to find out more about how we can help you maximize conversions and traffic during the competitive Holiday season. If you want us to have a look at your website and provide you with a free audit, please email us.